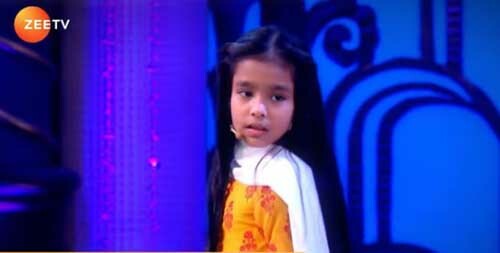 Nalbari girl Subhangi Manjit who reached the Super 12 round of Zee TV’sIndia’s Best Dramebaaz Season 3 has signed an agreement with Zee TV for three years. Seven-year-old Subhangi started learning acting from early childhood. Earlier in Guwahati, Subhangi participated in the audition for India Dramebaaz Season 3, cleared two rounds and reached the mega round that was held between states. She was selected in the Mumbai round. In May, she participated in the audition of mega studio, mega stage and selected in the top 16 rounds at the national level. India’s Best Dramebaaz Season 3is a reality talent-hunt show for children that was aired from June 30 on Zee TV and judged by celebrities such as Vivek Oberoi, Huma Qureshi and Omung Kumar. “Zee TV approached Subhangi with an agreement for three years in July, assuring her a role in any serial, movie or TV advertisement,” her father Manjit Mazumdar, who runs a business, told this correspondent on Saturday. Her mother Diya has a beauty parlour in Nalbari town. Subhangi, mostly called by her nickname “Marffi”, is also fond of dancing and modelling. She is a student of class III in Vivekananda Kendriya Vidyalaya, Nalbari. Principal Prahlad Gogoi said Subhangi is a good student.